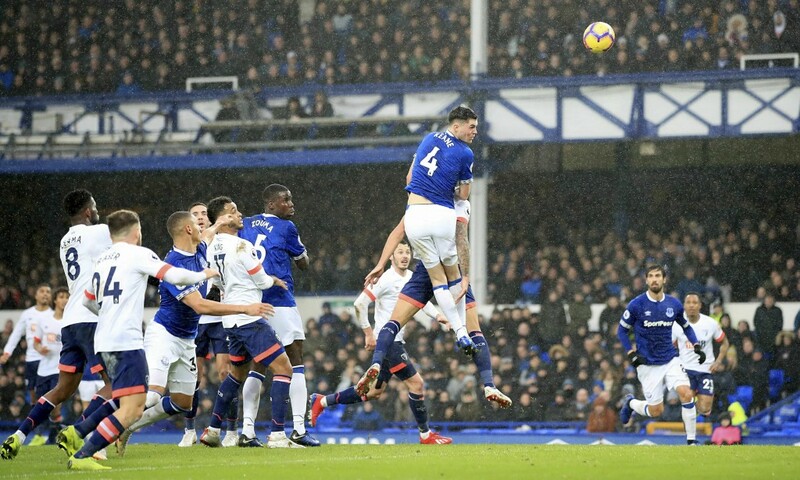 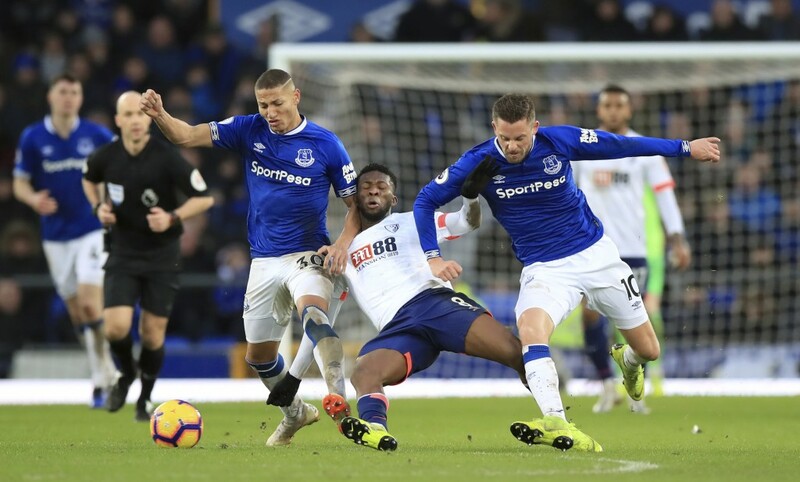 LIVERPOOL, England (AP) — Kurt Zouma scored his first Everton goal in a 2-0 victory over Bournemouth on Sunday, giving the Merseyside club only its second win in nine Premier League matches. 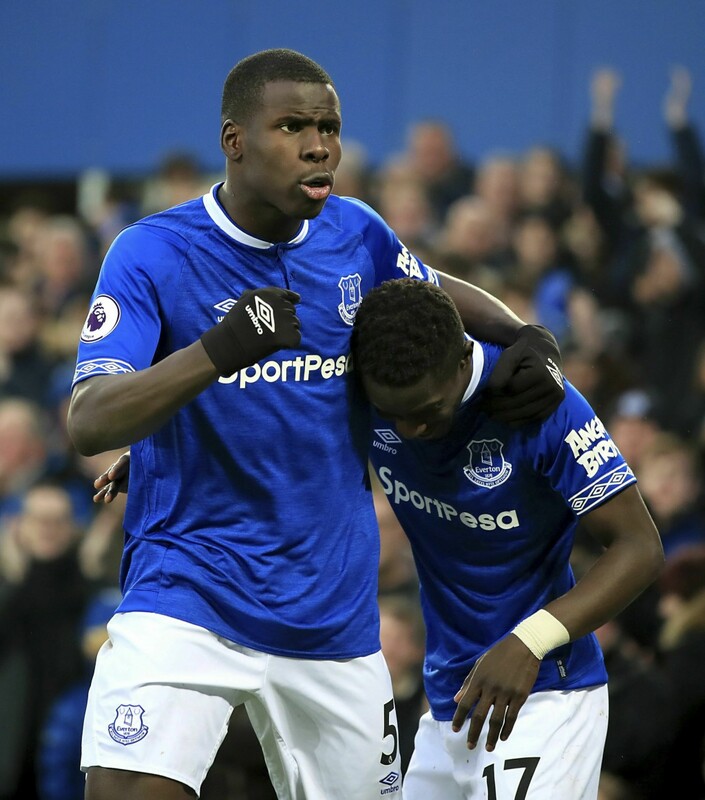 Zouma, who is spending the season on loan at Goodison Park from Chelsea, headed in from Lucas Digne's cross in the 61st minute. 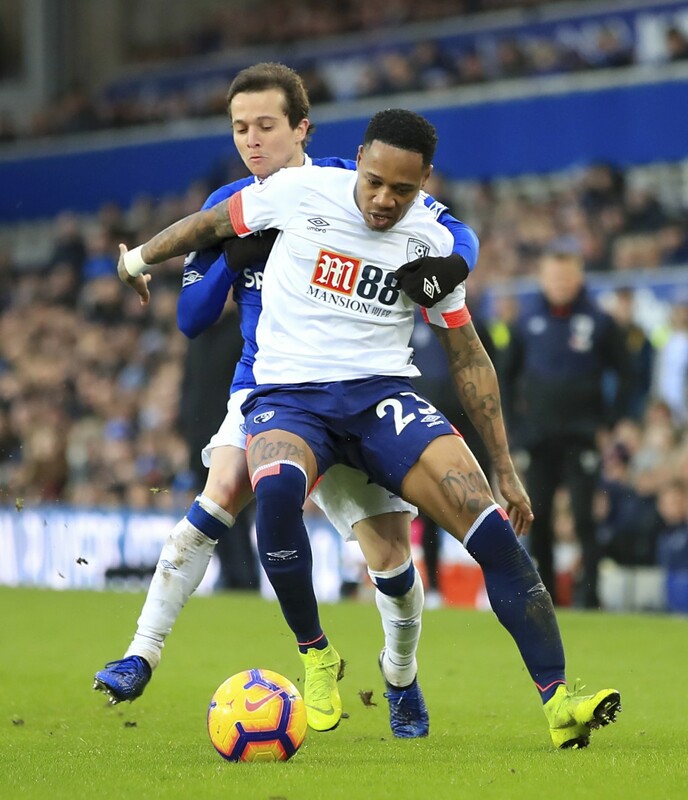 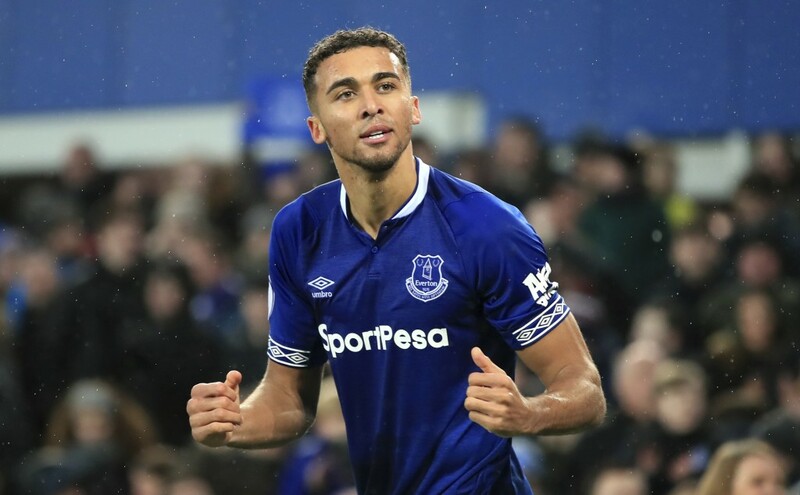 Substitute Dominic Calvert-Lewin was set up by Ademola Lookman to complete the win in the fifth minute of stoppage time.